Something new on the menu! A couple of months ago we got a call here at Face The Music from a former client that had done our songwriting interactive program a few years ago to rave reviews from the participants. Now the VP of Communications at recently-formed life science company, she said, "We have an idea that we think you could help us with." The idea? 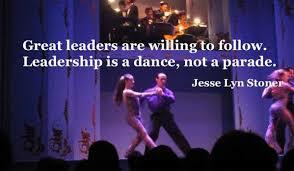 To work with their top 150 leaders to create dance routines to perform in a competition at their leadership offsite. The dance idea was to challenge the leaders to operate in different modalities, get comfortable with being uncomfortable, and learn about how they work together by creating, practicing, and performing a dance with their designated team. Well, we're always up for a challenge. We have years of experience in developing and managing programs like this; the new element was the dance piece. We started working our networks—who do we know in the dance world that can be our head choreographer and take the lead in finding the dance coaches we need. After extensive vetting from Broadway dance captains to top chorographers at Boston dance companies. We had the right person in our own backyard—Livia Vanaver of The Vanaver Caravan Experienced in delivering dance programs around the world, she got what we were looking to do right away. Our opening creation and rehearsal session with the participants was almost the first thing on the agenda after the welcoming and opening remarks of the first session of the meeting. 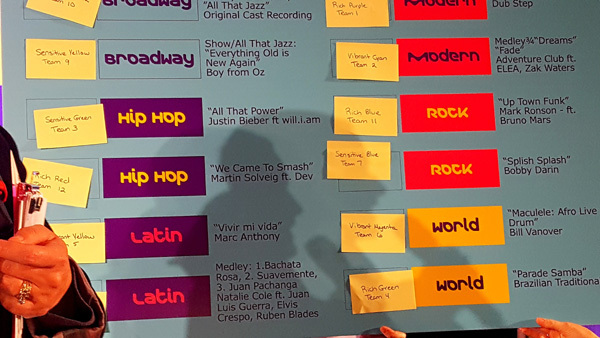 They huddled in their teams all around the ballroom floor as the session was kicked off with a suitably chaotic first-come-first-served process where the groups selected the dance genres they wanted to work with. Everyone went off to their breakout rooms to get started. In the rooms it was clear that for some, the objective of getting outside their comfort zones was already being met. That being said, the participants threw themselves into the process from the few talented ones that had some dance chops to the research engineers that spent some time attempting to locate their feet. There was enthusiasm for the creative piece as well as a "let's win this thing" competitive flair. After all this was part of a larger competition over the course of the four days where one group would take home the gold. It was great to see the progress being made by the second rehearsal session two days later. We had made videos of the choreography for the groups to work with in between rehearsals, and the routines were coming together. Energy went up when they broke out the costumes—everything from Broadway top hats and bow ties, to grass skirts, Mardi Gras bling, and a modern dance group that had these sort of stretchy bags that they were going to dance inside of. One group got decked out in the stuff from the conference swag bag they received at registration—company windbreakers, backpacks, and knit hats. Walking the halls of the hotel, there were groups dancing in the halls and music coming out of every direction from the rehearsal rooms. This all built up to the performances on the final morning. 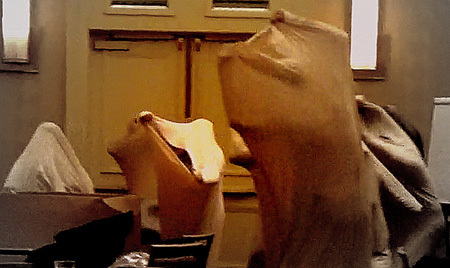 There was excitement in the air, chaos in the halls, and costumes lined up on tables outside the ballroom. After the first morning session, it was showtime! 150 people were gathering back to their seats to prepare to deliver their dance—and see what their colleagues had come up with. When everyone was seated, the room went dark, and the MC announced the first group to a rousing cheer from the crowd. Each group had a short "the making of the dance" video intro, with rehearsal footage and interviews with the dances and their coaches. Then the music started. The audience was fervent, clapping with the music, and cheering for the moves. Certainly, there were various levels of dance proficiency displayed, but the energy and fun was in high gear. The surprise of the grass skirts, the mystery of the stretchy bags, hip hop humans in hoodies, the salsa and Broadway groups kicking it out. The work they had put in was evident, and the appreciation of their peers, who had also put in the work and knew what it took, was sincere, heartfelt and enthusiastic. When the whole meeting ended shortly after the performance segment, the champagne was out, and the VP and event producers declared the dance event an overwhelming success. Just what the doctor ordered. The vision was executed, and the people left with memories, learning, and connections of their four days in Cambridge. They did it, and so can you. Now we know how to do "Face The Music & Dance", and we can help you have an exceptional experience at your next conference or meeting. Dance is as old as humankind, and from the beginning, it helped strengthen bonds within the community and develop individual skills for survival. Today, dance is both more private and more public – we dance when no one is looking, and we dance in front of complete strangers – and though we may feel self-conscious about it, dance is a natural part of our human vocabulary. It is a physical expression of energy and mood. It can release emotions, express ideas, and literally change the way we feel. It can help us connect to our strengths, and develop skills of leadership. We know that when our facial muscles frown or smile, different chemicals are released in our brains, affecting our emotions. The same is true with dancing. Different movements and shapes will affect us emotionally. Even changing our posture can change the way we feel. So when we dance with openness, energy, and strength, we are embodying those same aspects of behavior. How we use our bodies can actually change the way behave. Those who spend time dancing literally strengthen their backbone, and learn to feel more comfortable taking their place in space, and therefore taking their place in public. Dancing empowers the self. It can take courage to dance in public. The more we do it, the more familiar and less scary it becomes. Overcoming the discomfort of attracting attention in public is necessary for a leader. Being willing to express yourself is also a basic requirement for leadership. When we, with intention, combine shape, motion, and energy, we are making a statement in space and time. The more technique/control we have over these elements of dance, the greater is our personal vocabulary, and the more nuanced can be our statement. Since no two people dance alike, dancing can also be a celebration of the individual. We can use dance to explore and embrace our uniqueness, which can feed the self-respect and self-confidence required to lead others. Dancing with others requires its own set of skills. The dancer must be aware of others in the space, and when in physical contact with another dancer, must know how to "read" that person's body language. The dancer must know how to give and take, lead and follow, adjust to changing rhythms, tempos, energy, and space. The dancer must be observant of people and the environment. Leaders must carry these same skills into interactions within their groups in order to be successful. Being a leader means you know how to listen and respond to others. The mother of a lawyer once complimented a college dance professor: "The most important skills my daughter developed in college for her profession as a courtroom lawyer, were learned in her dance courses." We can all empower ourselves through dance. After all, we are human—hard-wired to dance!